Mimi Onuoha, Diane Reynolds, Branka Marijan, and David Jones during the roundtable discussion "Why Artificial Intelligence Matters." 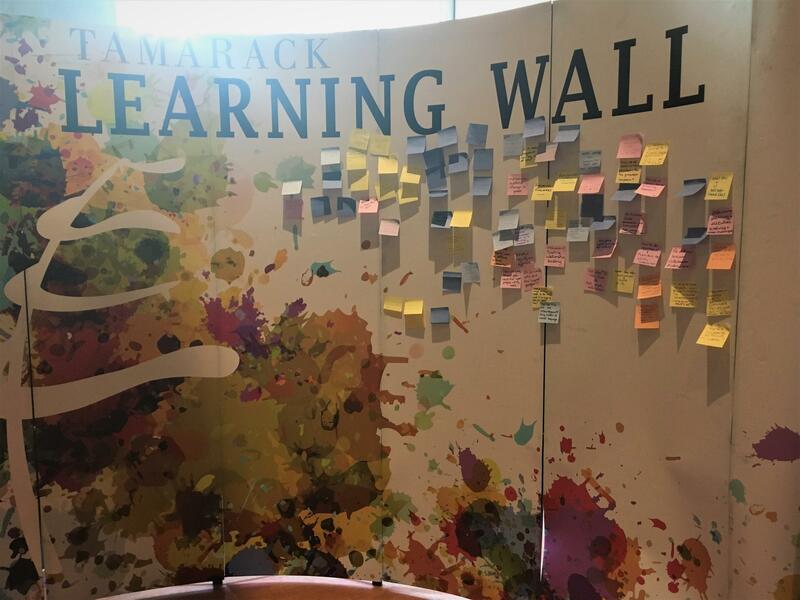 On April 4, Branka Marijan of Project Ploughshares and two upcoming PeaceTech Living Learning Community Peer Leaders took part in the University of Waterloo’s 2019 Artificial Intelligence Summit. Calling all students entering their final year of high school! 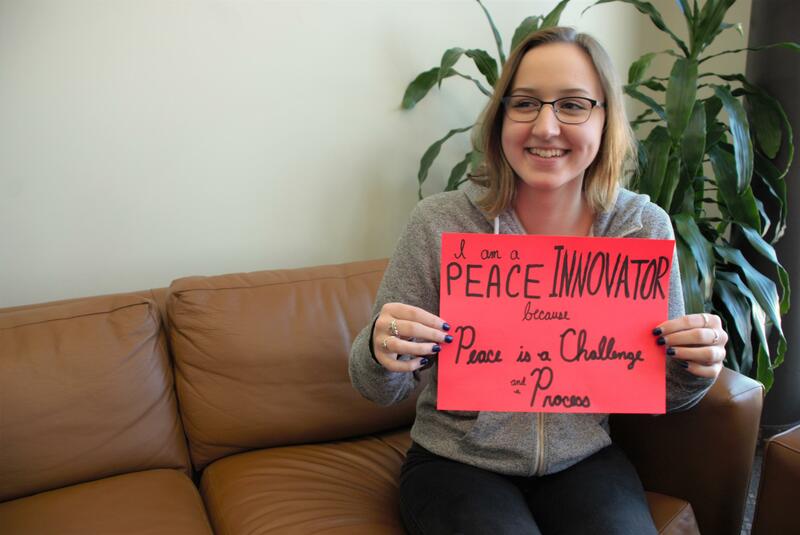 We’re looking for our next cohort of peace innovators who are ready to tackle a problem that they are passionate about in their community. Could this be you or someone you know? Stefan Hogg and Nicolas Werschler presenting their pitch "Food Insecurity in Northern Ontario." 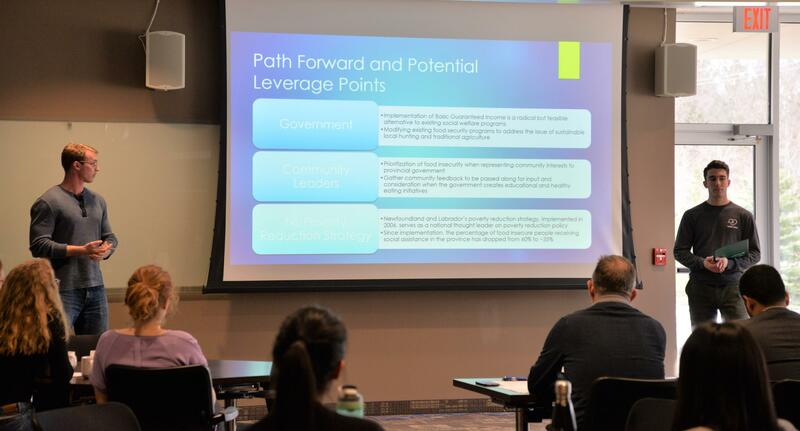 On April 8, the University of Waterloo’s first ever Map the System campus final was held at Conrad Grebel University College. The culmination of a process that narrowed 46 applicants down to five finalists, an interdisciplinary team composed of Stefan Hogg (Peace and Conflict Studies) and Nicolas Werschler (Applied Health Sciences) was selected to represent Waterloo at the Canadian finals at Ryerson University in early May. "If you think millennials and Gen-Z are just building businesses for the short-term gain, think again...Innovators are not just driving change in the region – but working towards cementing its positive effect in the long run, especially in developing and emerging markets."